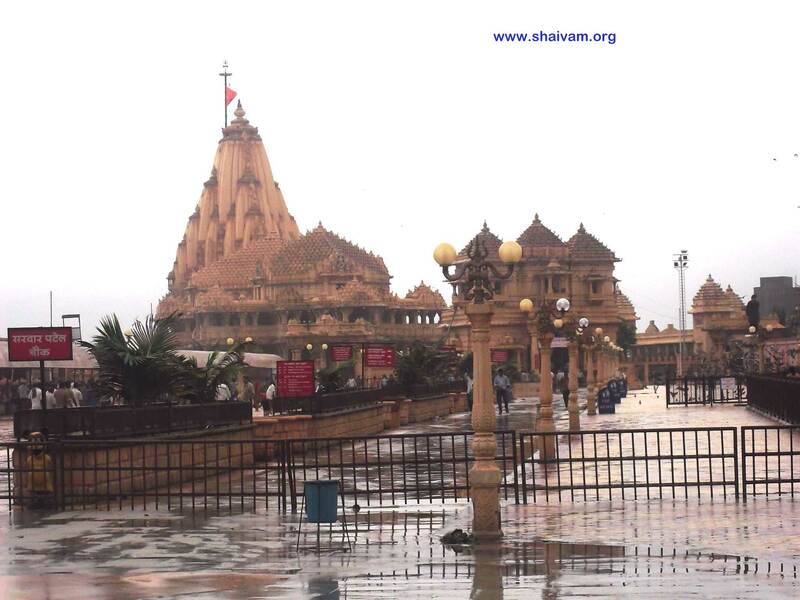 Somnath temple, the first in the twelve jyothirlingas, is located at the Viraval port – Prabhas Pattan in Saurashtra – Gujarat. 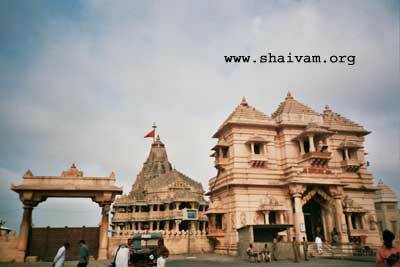 Somnath occupied a much esteemed place in the Hindu holy places. 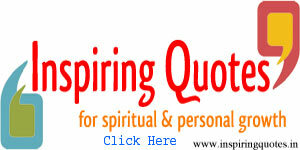 It finds many references in the purANas & itihAsas. 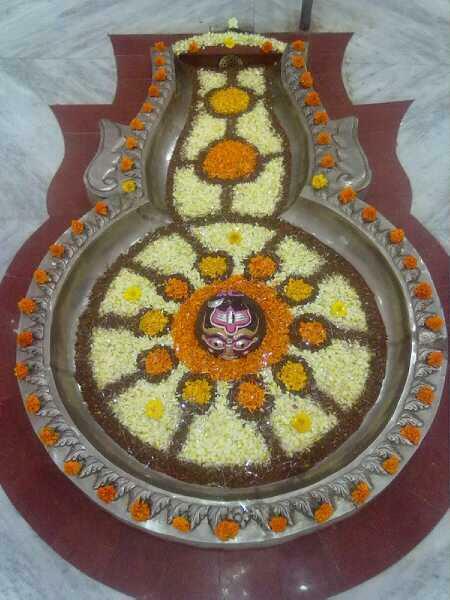 The inner temple of the Garbhashay was supported to be aglow with the luster of these gemstones. The Nanda Deep was always kept lighted with Kannauji attar. The treasure of the temple was forever full of vast wealth and was kept safe. This religious place of worship was earning the produce of ten thousand villages. 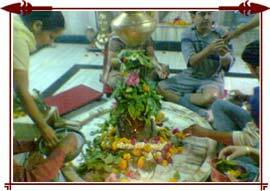 Among the twelve JyotirLingas (Lingas of light) Somanath is considered as the primary one. 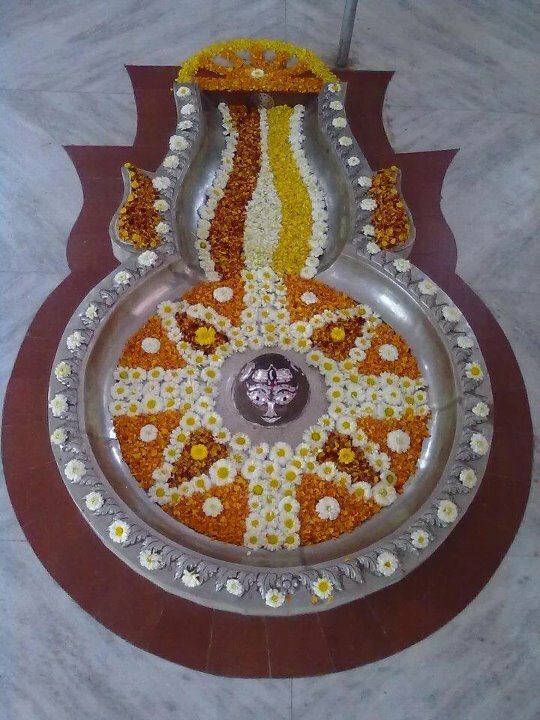 Because this deity is supposed to be Swayanbhu (self-born) and is always awake, lakhs of devotees visited this temple and considered themselves blessed and to have achieved piety. Offerings made by crores of devotees amounted to crores of rupees which kept the Somnath Temple always rich and abundant. Along with this, the Sun worshipping foreigners (probably Parsis) also contributed a pat of their profits to the temple treasury which kept its coffers full, all the time. Chandra, (moon) was the first one to receive the benefic boon of Shri Somanath of Saurashtra, the Shiva pilgrimage, Agni Teerth and Surya Teerth. Then Chandra built a beautiful golden temple and put a glorious JyotirLinga in it, the first of its kind in India. 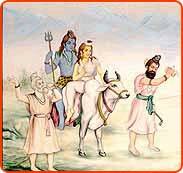 The Devas (Celestial gods) were very sad at Chandra’s plight and went to Brahma. The Creator, in order to find out a remedy for this condition of Chandra and get a solution for redressing the curse. 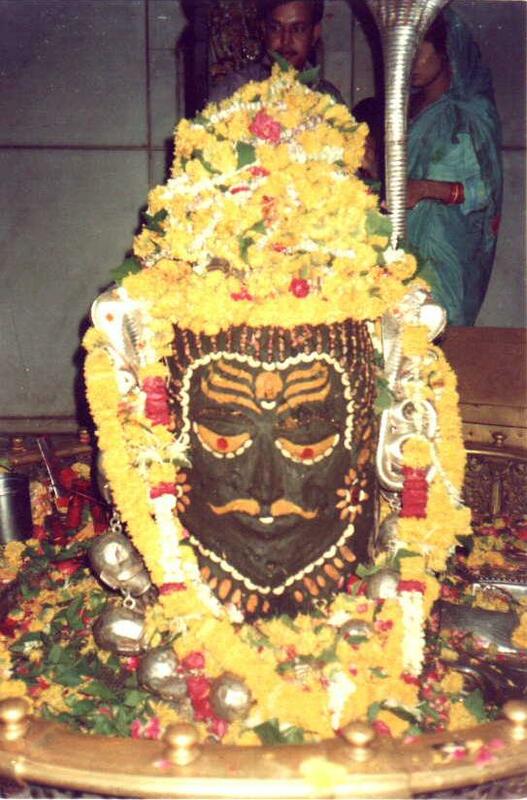 Brahma told them that the only way out was to worship Vrishabhdhwaj Shankar at Prabhas Kshetra Mahamrityunjay. 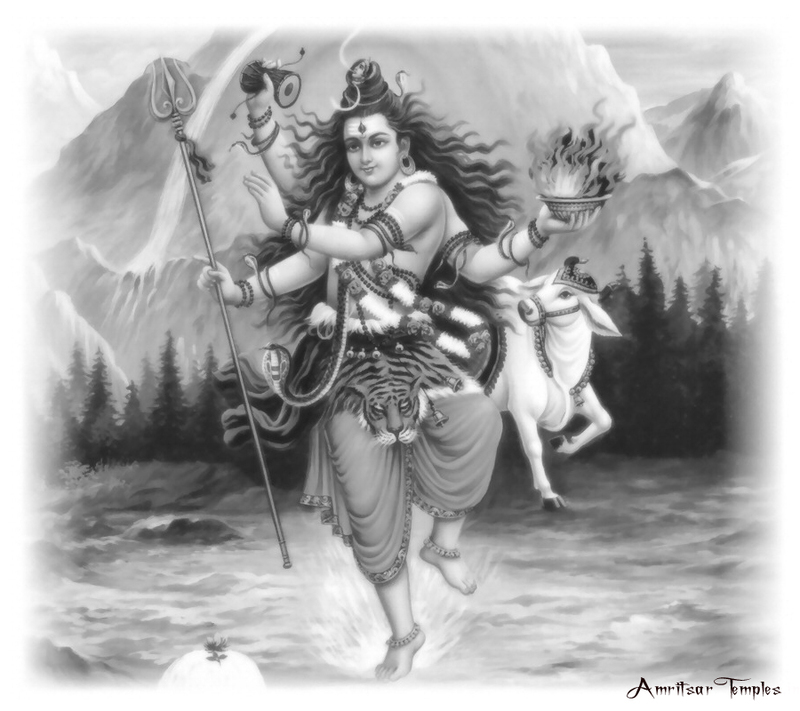 Chandra went on a penance for six months and prayed to Lord Shiva, at the end of which Shankara appeared before him. He gave Chandra the boon that in a month, he would grow for fifteen days in one half and in the other half he would keep loosing one Kala (shade) per day and decrease in size. 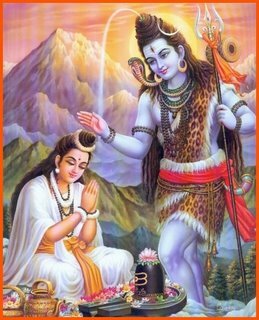 He was pleased with the Devas and in order to increase the prestige of the place, Lord Shiva Himself came to be known as Someshwar, meaning famous moon (Soma). 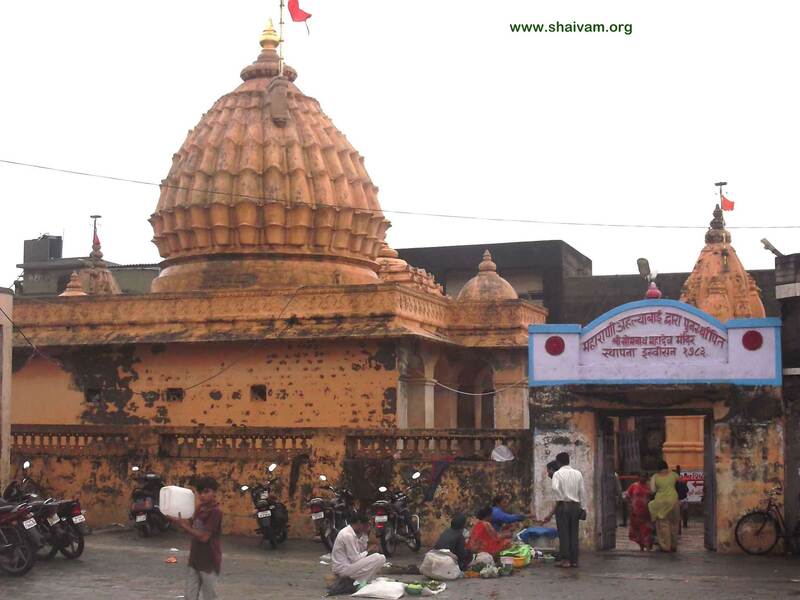 The Devas established a Someshwar Kund there. By taking a holy dip in this pond or Kund, it is believed that one would obtain release from all the sins. 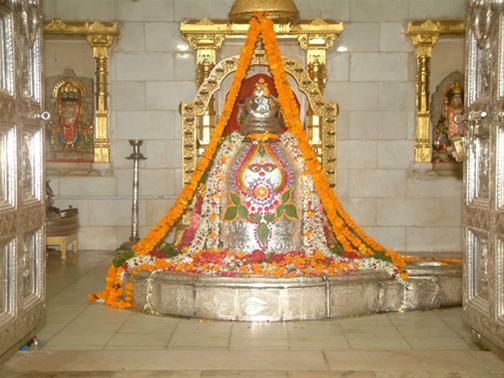 Later, Shri Somnath Mandir was built by Ravana fro Rupa in the treda yug and Lord Krishna fro Chandran in . Emperor vikram Aditya built the temple in the kali yug.